Michael Zerang is a Chicago-based musician, composer, and producer, who has been active in a wide variety of musical endeavors for over 40 years. While loosely associated with Chicago’s free-jazz circles, Zerang has participated in theater, dance, and other multidisciplinary forms, and appeared on over 80 recordings. He recently took some time to answer a few of our questions. How did you get started with music? Was it something that appealed to you from early childhood or did it evolve later? I had always been an avid music fan since childhood. When I was 16 years old, I hitchhiked across the country to California and up through Canada for 4 months. During the first week, I witnessed a concert by Rahsaan Roland Kirk at Keystone Corners in San Francisco. He blew my mind so thoroughly – actually altering my DNA – that I decided right then and there that I would pursue the musical arts for the rest of my life, especially the exploratory aspects. It was such a transformative experience for me that it has been driving me ever since. You have been involved with the Chicago music scene for quite a while. How has it changed from, say, 1980 to today? When I was coming up in Chicago in music in the late 70’s and through the 80’s, the art scene was much more holistic in that you’d have painters, poets, theater artists, performance artists and musicians all inhabiting the same spaces and scenes. In a way, it was a much richer environment to develop in because of all of this cross discipline. These days, each of these fields has their own spaces and audiences, and it’s harder for young artists to be exposed to the broader art practices. There are benefits to this, but I did gain a valuable insights from all of the cross fertilization of the arts. With respect to free jazz and outside music, what are the differences between North America and Europe that you see as a performer? For instance, is the level of involvement and appreciation different? The European scene has always been funded better, allowing for the possibility to actually make a living from exploratory arts practice. The audiences in Europe are great since they have had such a rich artistic heritage. That’s changing a bit these days due to economic considerations, but it’s still easier than in the USA. On the other hand, American artists, especially African American artists, have brought a music to the world that is awe inspiring and so vital, even through difficult economic and cultural situations. On balance, I’m glad I can straddle both worlds, as well as other regions of the world. Aside from performing and recording, what other musical activities are you involved in? From the beginning, I have been a composer, mostly in collaboration with other live art forms such as theater, dance, puppetry, etc. This has given me a completely different approach to music making and I have learned so much from working with these other disciples that I could not have by just working as a musician. I still am involved with these collaborations in my capacity as a composer to this day, and still gain insights that I couldn’t get otherwise. Your two recent releases, Hash Eaters and Peacekeepers and Songs from the Big Book of Love seem to be companion pieces. How did these recordings come together? Michael Zerang & the Blue Lights is a new project that came from my desire to compose music that dealt simply with rhythm and melody. I have been involved for over 25 years as an improviser, mostly dealing with extended forms and techniques. This band is much more straight ahead. Songs from the Big Book of Love contains eight original compositions that I fashioned for the players involved – Mars Williams, Dave Rempis, Josh Berman, Kent Kessler and myself – all frequent and longtime collaborators. 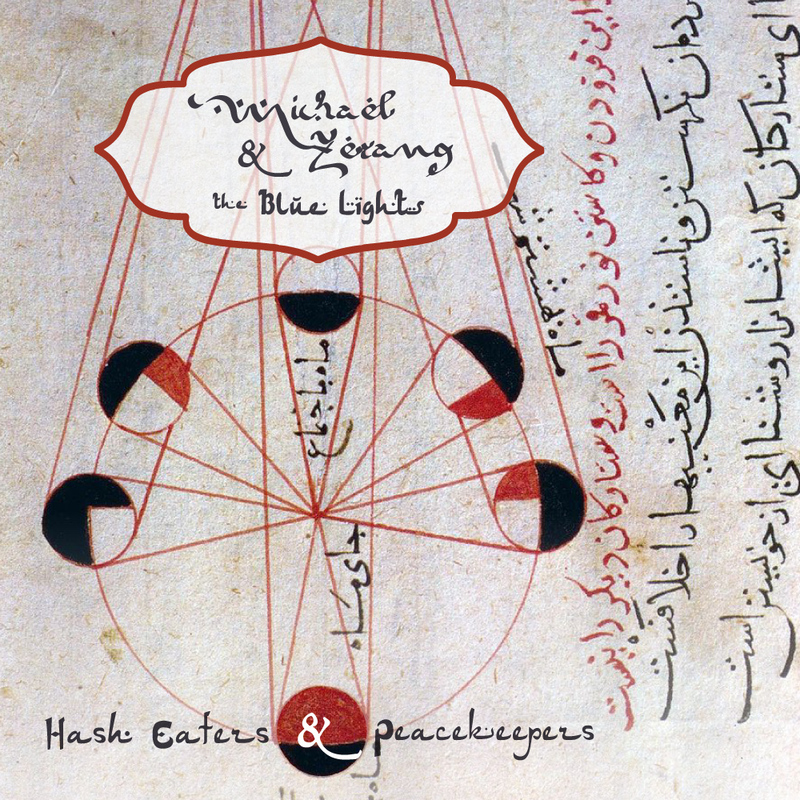 Hash Eaters and Peacekeepers contains three additional original composition and three arrangements of Middle Eastern tunes that were favorites of mine since childhood. Are there any musicians left that you would really like to perform or record with, but still have not? The list is too long! But I am always looking to make new connections and collaboration. I’m not done yet! Any advice for young, upcoming jazz / creative musicians? Aside from your European tour with The Blue Lights, do you have any other upcoming events, performances, or releases that we should know about? I am also touring with Survival Unit III, Joe McPhee, Fred Lonberg-Holm and me, in Europe this fall to celebrate the 10th anniversary of the band. 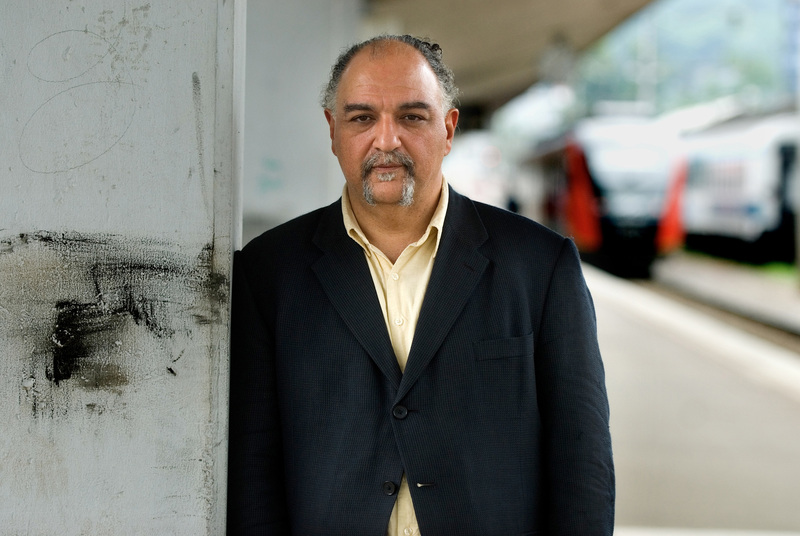 I will be performing at the Music Unlimited Festival in November in Wels, Austria as well with Joe McPhee, Christoph Kurzmann, Isabella Duthoit, performing a tribute to Ornette Coleman, and I will end the year with the Winter Solstice duo Concerts with Hamid Drake that marks our 25th anniversary on December 21, 22, and 23. As many of you probably have heard, a new remaster of John Coltrane‘s A Love Supreme is coming out soon. The Thing with James Blood Ulmer will be performing in Austin, Texas on October 7. Ron Anderson and Brian Chase appear in duet form tonight at 7:30PM at New York’s Le Poisson Rouge. Source: New Haven’s Uncertainty Music. Source: The Cornelia Street Cafe. Stephan Crump’s Rhombal will explore a new body of work written for this two-horn, bass and drums gathering.